This graph uses a three-year average to 2015-16. Income is before housing costs. The graph shows the share of total income held by each 10% of households in London. Households Below Average Income, Department for Work and Pensions. Access via the UK Data Service. is the amount of all income received by the top 10% of households in London. This is more than the bottom half of households combined. decile is the first to receive income in proportion to its size in the population. 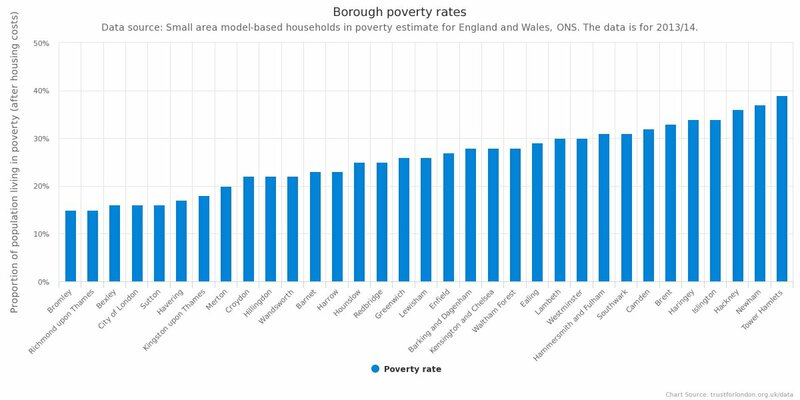 in London received nearly twice as much income as the second highest 10%. 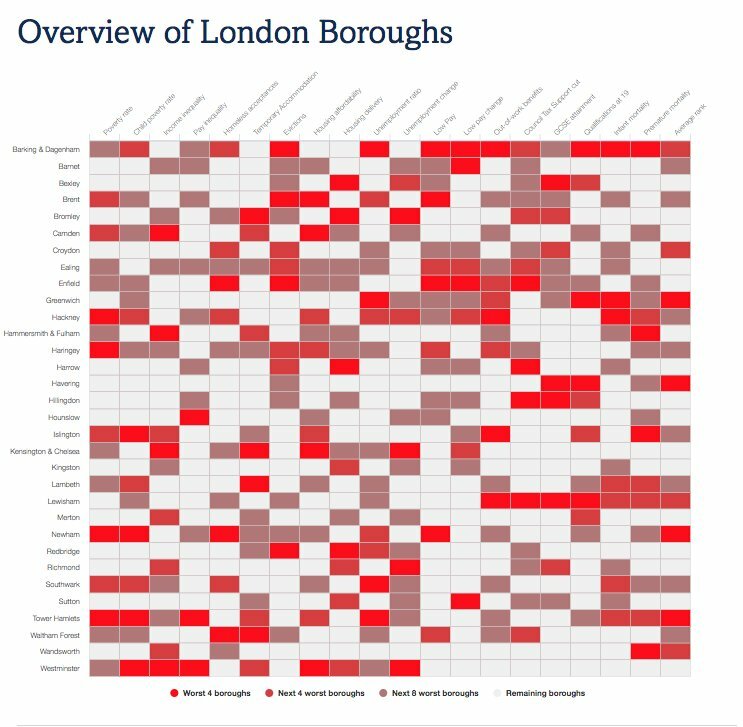 The piechart divides the London population into 10 equally sized groups, and shows their share of all of London’s income, on a before housing costs basis. * This is all the income recorded by the Family Resources Survey dataset – such as earnings, benefits, pensions and other types such as capital income. This amounted to around £2.4 billion total income per week in this period. The bottom 10% of London household’s received only 2% of all income in London in the three years to 2015–16. In contrast, the top 10% received nearly a third (29%) of all income – more than the bottom 50%. All deciles in London received less than they would under a totally even division of income up to the 7th decile. That the top 10% received nearly twice as much income as the second highest 10%, 29% compared with 15%, demonstrates the concentration of income at the top. Although we do not have data for London, for the UK the top 1% of the population accounted for 12% of income received in 2012, and the top 0.1% accounted for 4.5% of all income (World Wealth and Income Database). However, income is more evenly distributed than wealth. * This is on a BHC basis because AHC income often contains negative values. ** A Palma ratio is a measure of inequality, which compares the income of the top 10% of households with that of the bottom 40% of households.